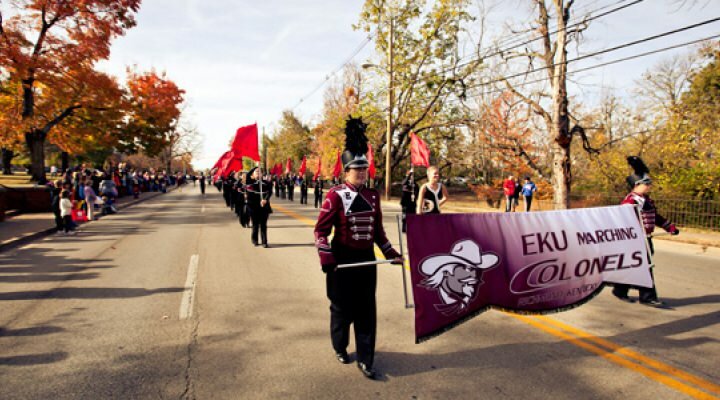 The Eastern Kentucky Marching Colonels aren't done yet! After being told Tuesday morning via email that the band would be discontinued due to a $25M budgetary shortfall the students and alumni have made their voices heard. A wave of angry students, parents and alumni shook the leadership of the university into action to try and save the band. 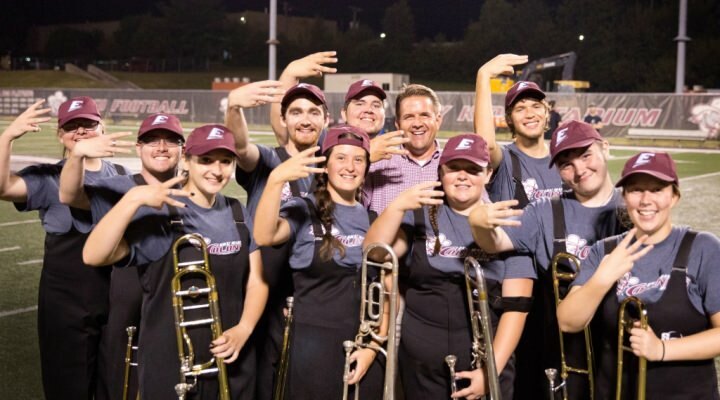 Beginning in Fall 2018, the EKU Marching Band will be restructured into a new format, organized and supported by the Division of Student Success and Campus Life, in collaboration with the School of Music, which will provide support and instruction. This new model will offer voluntary athletic band participation to students of any major. This is one of many strategies identified to capture a total of $25 million in savings and cost avoidance necessitated by reduced state funding, increased pension obligations and a decline in tuition revenue. We recognize the unique experience and value the Marching Colonels bring to our students, alumni, fans, athletic teams and the community at large. The University has formed an ad-hoc committee to assist with restructuring this program and soliciting participation and support for the new band. CLASS Dean Dr. Sara Zeigler and Dr. Eugene Palka, vice president for Student Success, have agreed to co-chair the EKU Band Task Force. Members will include faculty, staff and student representatives from the School of Music, Development and Alumni Relations, Campus Life, Athletics, and Communications & Brand Management. This committee will work to plan the transition, implement recruitment strategies for band members and immediately begin identifying potential financial resources that could support either a pep or marching band model. The existing and anticipated costs of sustaining an independent marching band program are significant, but if the student interest is there and resources allow, we will make every effort to continue the great history of our Marching Colonels. We will continue to explore all opportunities to incorporate musical elements, including traditional live band performances, at our athletic and community events. We hope you will join us in supporting these efforts, we have launched a campaign to fund this new pep/marching band. You can learn more at: http://www.alumni.eku.edu/marching-colonels. Thank you for your patience and understanding, and Go Colonels! Donations have started to come in, but the band has a long way to go. They are hoping to find corporate sponsorships to move the needle in a big way. They are asking for anyone who'd like to make a donation to do it HERE. Students have been very vocal about their displeasure about the band being cut and frustrated that nothing was brought to the table ahead of time to try and keep the band. One student who didn't want to be named told us, "this is all just reactive now to the bad press cutting the band caused. They now want us to take on the challenge of keeping the band alive even though they were the ones to cut it. How is that fair?" Another student told us,"we hope the university leadership realizes that cutting a 100 year old tradition isn't the correct response to budget cuts. We all wish they would have talked to us ahead of time. We would have been okay giving up some things in order to keep the band alive." This attempt to save the band does come off as a desperate grab to save face with alumni and university donors in a very disappointing time, but the good news is that administrators are willing to look at options to save the band which is more than other programs have done in the past. This is a developing story that we will continue to cover.